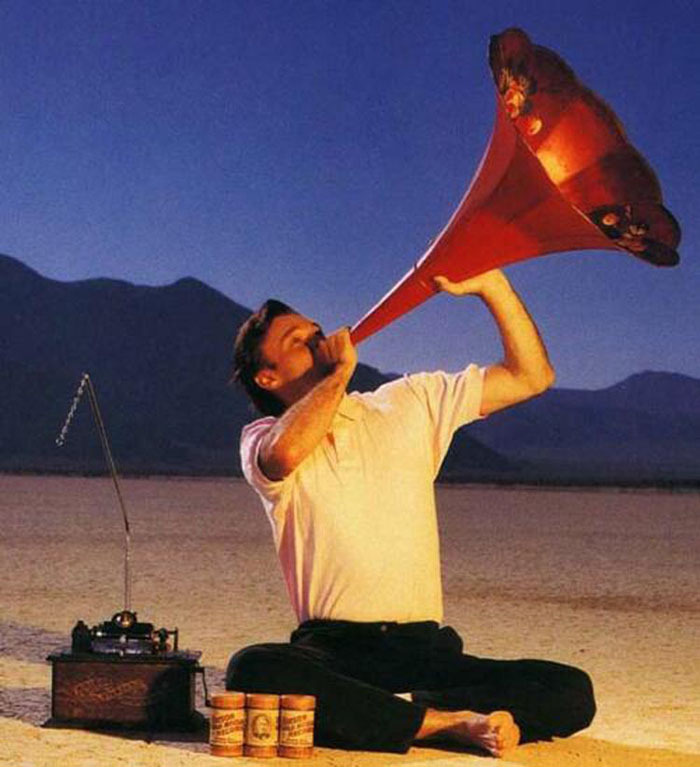 With the completion of the Phonograph on December 6, 1877 the revolution of sound began, culturally and in rpms. 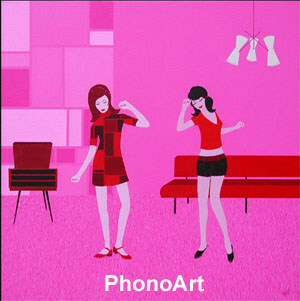 Phonographia are objects and images and words that contribute to our memory of the Phonograph. 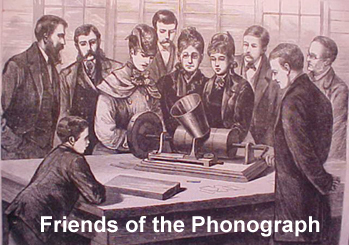 Phonographia are found in art, advertisements, personal stories and literature, photographs, greeting cards, postcards, cartoons and many other formats including talking machines and records from their respective era. 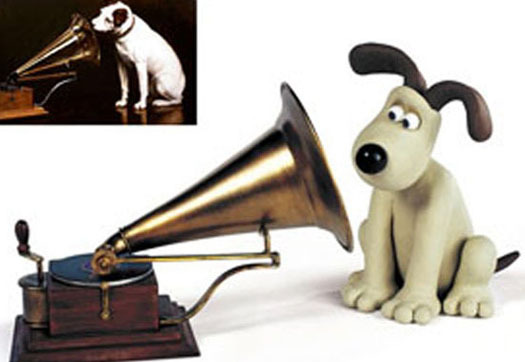 Phonographians are Friends of the Phonograph who enjoy the Phonograph and all of its pop culture connections. 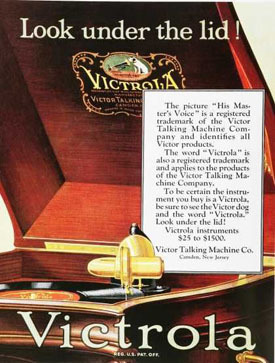 The revolution that began with the Phonograph is a continuum. We still have record players and descendent technologies that record and reproduce sound waves. And most remarkably, launched one hundred years after the invention of the phonograph, Voyager 1 and 2 are travelling in interstellar space each carrying a phonograph record that is Earth's "message in the bottle" and "greetings from Earth" (2). Images, sounds and music on the Voyager's "Golden Record" are intended to represent life on planet Earth. As Carl Sagan noted, however, the record would only be played "if there are advanced spacefaring civilizations in interstellar space") (3). So perhaps the "Golden Record" will never be played. But never is a long time and there is the mind-bending possibility that the Voyager record will exist longer than humans on Earth. Go to the Jet Propulsion Laboratory (JPL) website, read more about the "Golden Record" and see real-time numbers of how far these records have travelled. Trumpeting the Revolution and the following text from "Black Rock Portraits on the Playa"